A few weeks ago my good friend Jill (check out her beauty blog) got me an Aveda Essence Face Accent to try out. She got me the Shimmer Shell (173) – which is self described as shimmering warm tones of golden oyster to luminous pink. It was a surprise gift for no reason (she is the best) and I have been using it daily ever since. I tried to take a picture of the product on my hand, but it didn’t turn out … so unfortunately you’ll have to take my word for it. 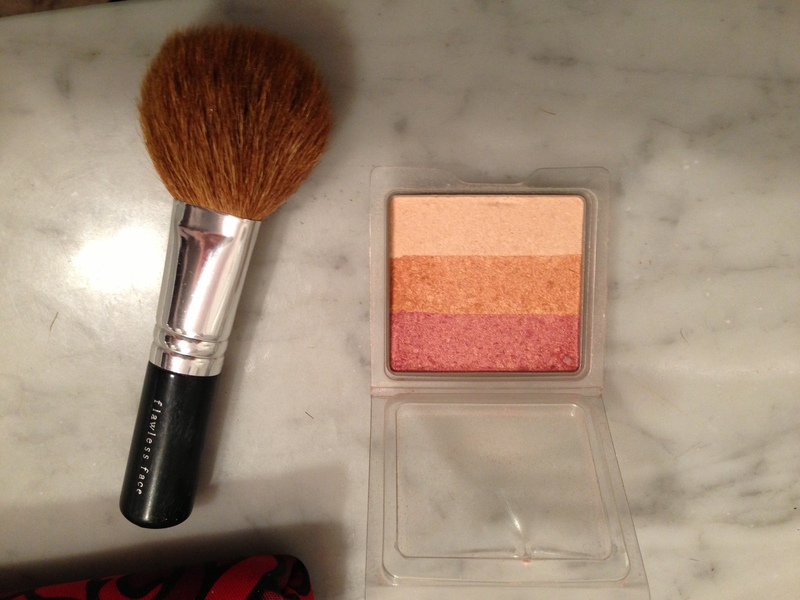 I love this for a light all over bronzing tint. The color is very light, which makes it perfect for everyday wear. And as I think I constantly complain about – I’m super pale (seriously vampires are more tanned than me) it’s great because the light coverage doesn’t make me look like I’m trying too hard. The shimmer it provides if very light, and “twinkles” in just the right light. For a girl in her 30’s (yikes am I admitting my age now?!) who doesn’t want to give up the sparkle I got away with in my younger days this is perfect. I describe it as an adult sparkle – not too much, not too flashy, still soft and professional so I get away with it at work. At the dentist’s office the other day they girls where complimenting me on the shimmer on my face. One girl even said it’s like a twilight vampire in the light (she meant it as a compliment). I had totally forgotten about it since I’ve been wearing it daily for a month – but once I figured what they were complimenting me on I was giving all the praise to Aveda. So if you are like me … denying your age and refusing to give up sparkle and shine … but don’t want to be THAT 30 plus year old (I’m still holding out before I embrace my cougar years) then this is definitely a product worth checking out. This entry was posted in Beauty and tagged aveda, beauty, bronzer, face accent, make up, shimmer by maldham. Bookmark the permalink.